The Liquid series of ROMs are available for a wide assortment of devices. Thanks to a hardworking developer by the name of Liquid0624, many folks have been enjoying them for quite some time and there doesn’t seem to be any slowing down in development. 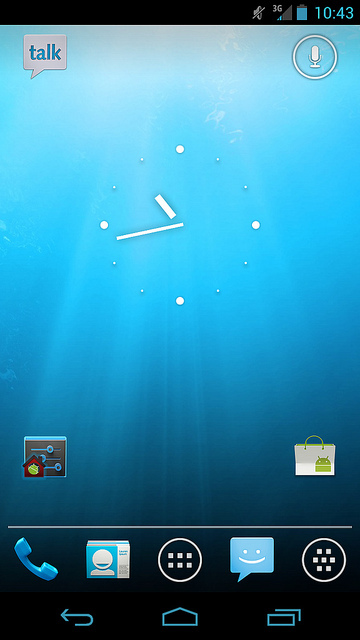 The newest release in the the saga of Liquid is the LiquidSmooth ROM for the Galaxy Nexus. This ROM stands out for a few reasons: it’s being hyped as one of the fastest ROMs available, is extremely light, super snappy and runs LeanKernel. The zip itself is just 92MB, which is tiny compared to some other ROMs. Google Apps are already baked right into the ROM, so that makes installation a breeze. Look below for our installation guide. Download zip file and place on device’s storage. Reboot into ClockworkMod and create nandroid backup. If you need any help, feel free to leave questions down below and we’ll do our best to help people out.